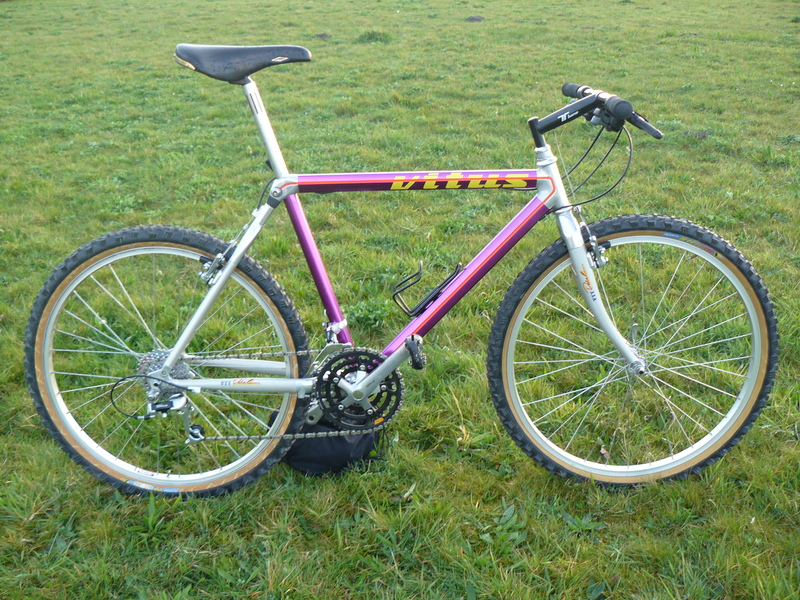 Time was another clipless pedal system that was developed and introduced successfully in the 1980s. 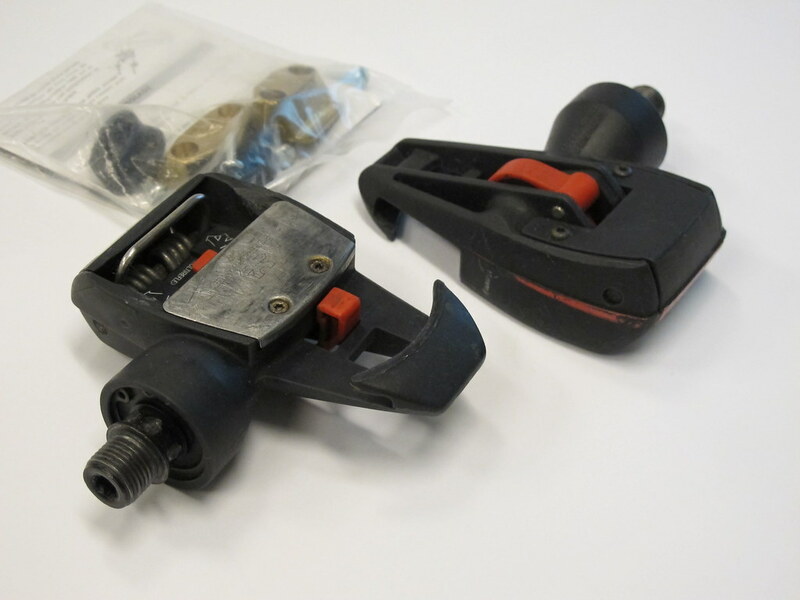 Big names like Delgado, Lemond and Indurain won big races with these pedals. 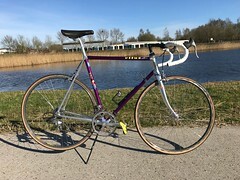 And let's not forget Jan Raas' pro teams, riding Colnago bikes, equipped with other products from Benelux Colnago distributor Codagex: Sun Tour and Time. 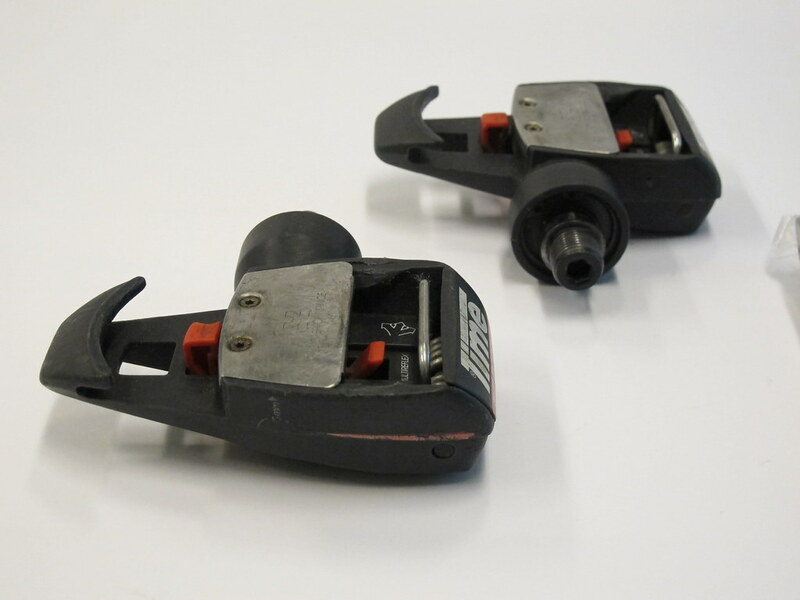 The big difference with the competitor Look was that Time TBT pedals allowed for angular and lateral float and had no fixed foot position. The idea was to have a more natural foot movement and a reduced risk of (knee) injuries. Besides that, the distance between pedal axle and foot was reduced, improving pedalling bio dynamics. 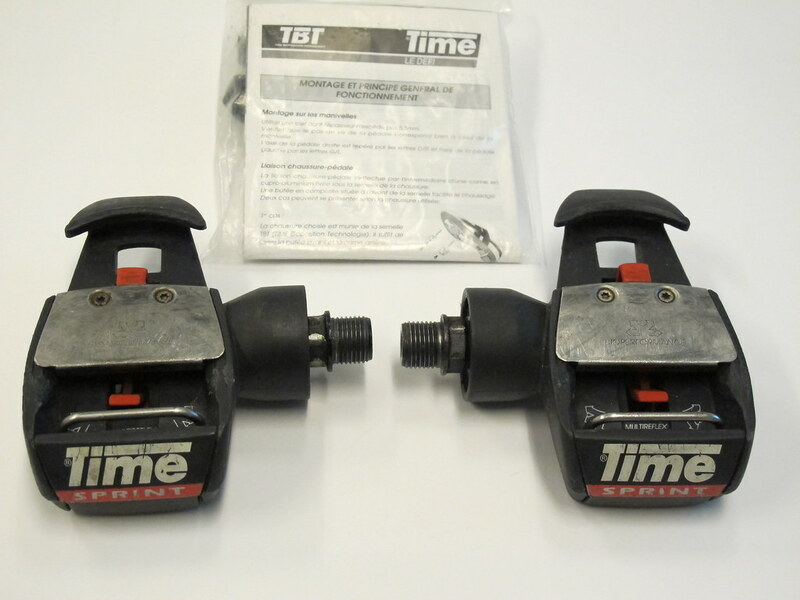 The first set Time pedals was Time Racing from 1987 or 1988. 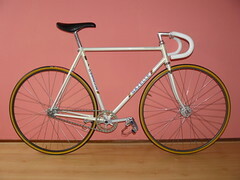 This Time Sprint is a bit younger, but based on the same idea and design as the Racing model. The distance pedal axle to shoe sole (Bioposition) is a bit higher: 15 mm. Time road pedals need a special Time-compatible shoe sole or an adapter with a 4 hole pattern. Using an adapter would be a bit silly, because it makes entry into the pedals a hassle and you would loose the biodynamical advantage of the Time TBT system (Time Bioposition Technology). Finding compatible shoes wouldn't be a problem, because the Speedplay system uses the same pattern.